Beautiful home in Newton Falls! This well built home has a 1st floor bed & bath, a 2nd floor bed & bath and a bed & bath in the lower level. High ceilings, oak trim & doors & skylights are a few of the unique features in this home! It is so well maintained, you can move right in! There is 1933 sq. ft. of living space plus an additional 770 sq. ft. of living in the lower level w/a walk-out into the garage. The lower level features a large rec room, wet bar, bull bath & bedroom. This home has an abundance of closet & storage space. An oversized 2 car garage is attached plus a private breezeway leads to an additional 2 car garage! 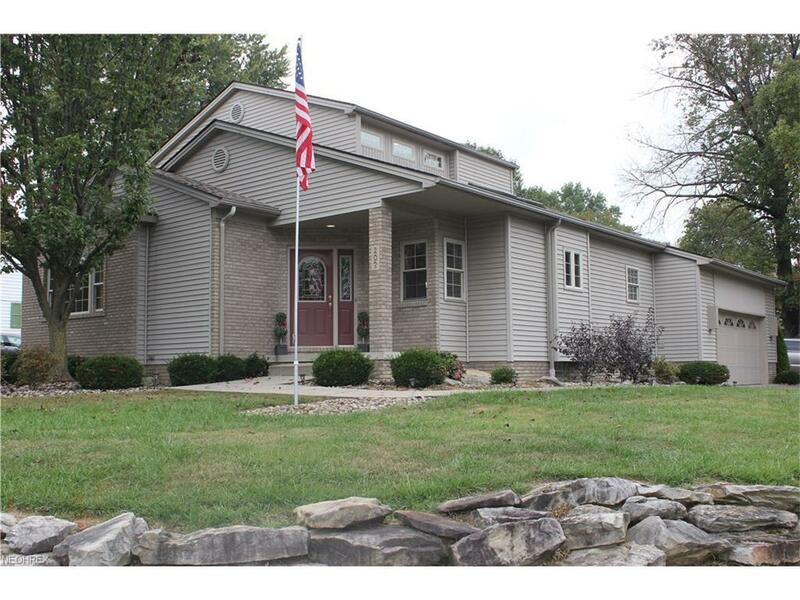 This great home sits on a corner lot w/2 driveways! Call today! Selling Office: William Zamarelli, Inc. Courtesy of William Zamarelli, Inc.